For me right now stack rings are everything. 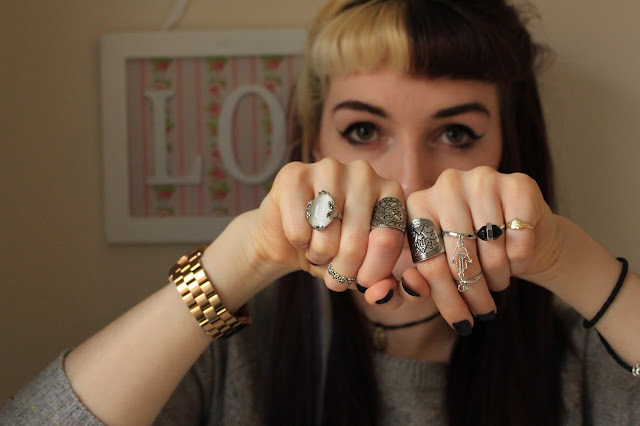 I love the boho feel I get whilst donning a ton of silver/gold lovelies on my fingers. I’ve got a collection that could rival the stack queen ring herself Phoebe Buffay. 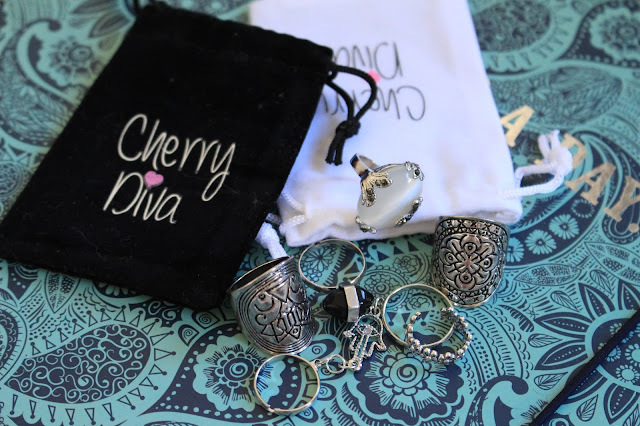 After browsing Cherry Divas site I found they had more then enough to satisfy my want for new pieces for my collection at prices I couldn’t really sniff at. I find theres an art to getting the balance just right. Myself I find more is more. I try to have a least one one each finger, different sizes shapes and patterns. I’m not afraid to mix up gold and silver and wear them at the same time [break all the fashion rulez] to perfect the boho look. Let me walk you though some of the stuff I was sent. 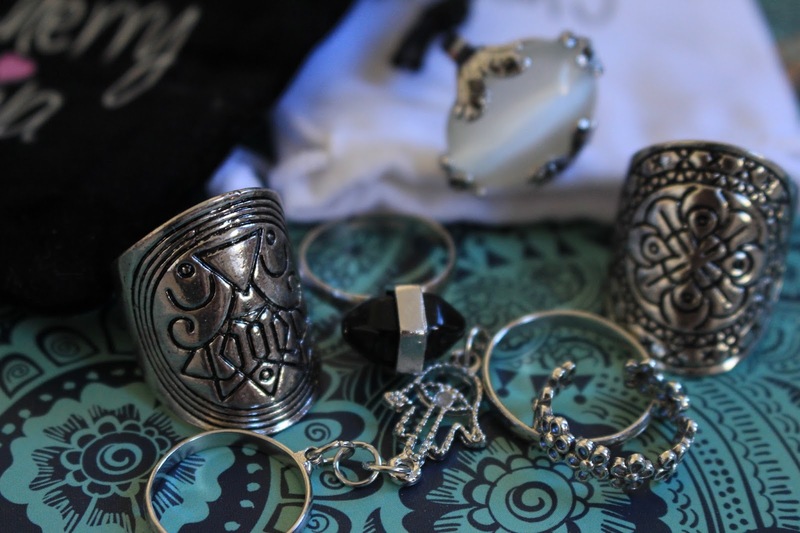 First up The Silver Embossed Floral Ring and The Silver Embossed Tribal Ring coming in at £6 each. I love these rings and how chunky they are, almost like a cuff but for your finger. I liked wearing them on both fingers to create a matchy matchy aesthetic in an organised chaos array. 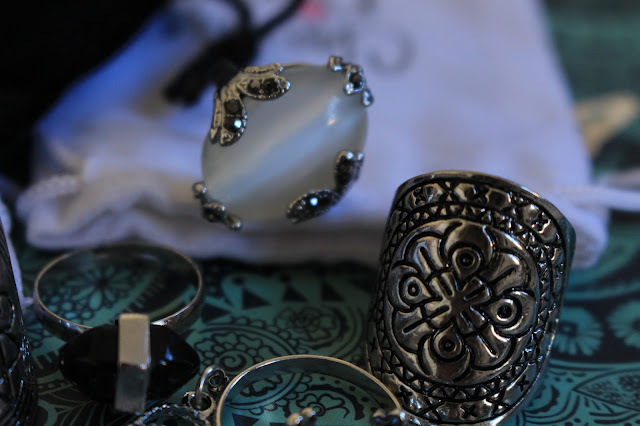 Next is the Silver Hamsa Hand Ring currently n the sale for only a quid. I really like how weird this one was. 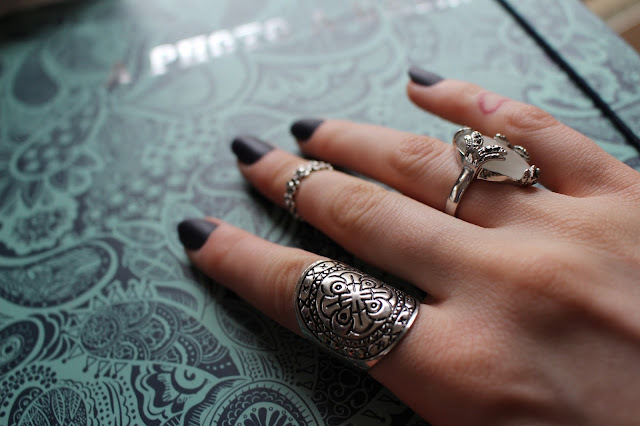 I haven’t seen a ring in this style before and i’m a huge fan of the hamsa hand design thats been on trend for a fair bit now. Also currently in the pick ’n’ mix sale is the Gothic Jet Crystal Point Ring for just a pound. I’ve wanted a ring with just a black stone for ages and this is just what I was looking for to break up the madness with a little simplicity. 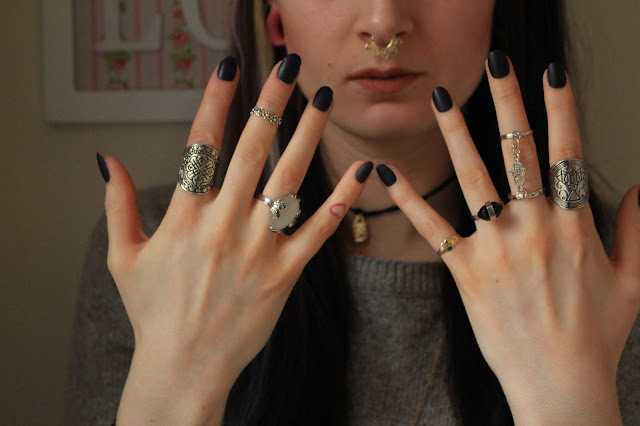 Also it has ‘’Gothic’’ in the name and i’m all about the goff lyf. My fave fave fave ring that I was sent I unfortunately can’t find on the site is the gorgeous moon stone warp in overlapping silver details with all the Victorian vibes and I just basically love it. 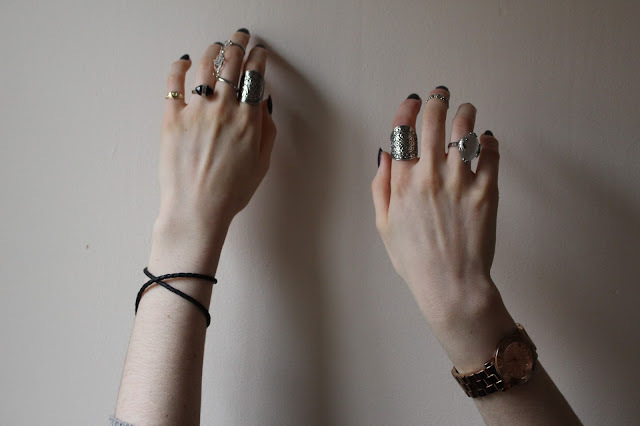 How do you like to wear your stack rings, any that you’re lusting over at the moment? Check out Cherry Diva for their full range. I need these like now! I'm obsessed with rings, I feel naked if I'm not wearing a least 4 haha! The boho feel is a must for me, so gorgeous! What are you doing to me, I'm trying to save haha. Just popping back to say...OMG! I need everything! So many moon rings!!!!!!!! Wow! It is very beautiful. Thanks for your post. 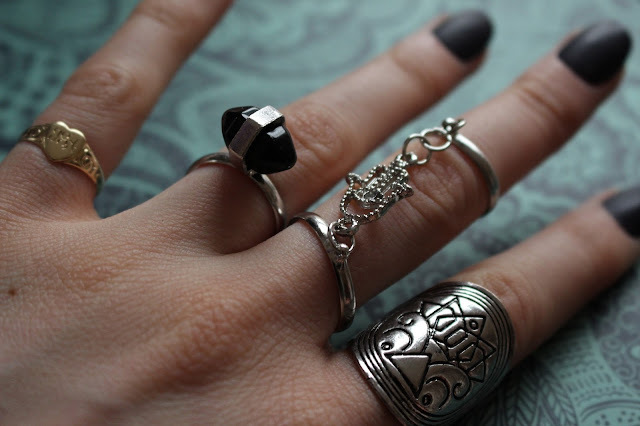 Are you interested about fashion rings for women ? We provide a huge collection of fashion rings with beautiful designs and different varieties. Visit our site to learn more. I own a lot of Diamond Solitaire Rings already and I think I want this right now!